Welcome to the Sewin' Sisters Sowing web page. We are a faith-based group that sews products to fulfill the needs of our immediate Harrisburg Area community. Please check back to see articles and items of interest as we grow our page. Ten months of the year we meet at least once, sometimes twice if the need is high, to renew our spirit and gain direction for what God needs us to do in the coming weeks or months. 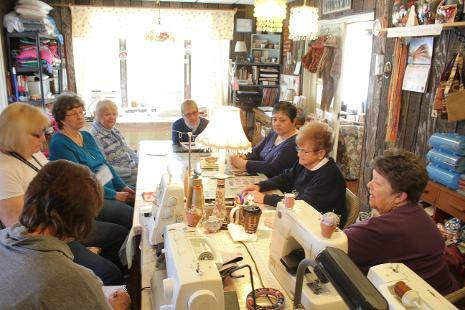 Our core group includes 10-12 dedicated women who will either sew at our meetings, or most usually sew at home and bring the items to the meeting to be recorded and assigned to a group in need. City of Refuge Evangelism, Light House Ministries, local nursing homes, and others in need as identified. We thank God for the opportunity to serve Him with our talents. And we thank our community for donating all the fabric and notions necessary to do this job. We thank you for your continued prayers!